With profound sadness and much gratitude for the wonderful memories she created with her family, friends and community, we announce the passing of our beloved grandmother, Sister, and lifelong friend. Marjorie was born, July 25 1925, the fourth and youngest daughter to Albert and Ellen Evans in Warren Manitoba, where Marj spent her growing up years. Marj attended public school in Warren. At the age of 17 Marj was selected to teach on special war time teachers permit, an event that set her career path, and one that she was forever grateful for. Marj loved teaching. She was strict and believed in hard work, accompanied by a laugh or two. She believed in her students and was hard pressed to give up on any of them. 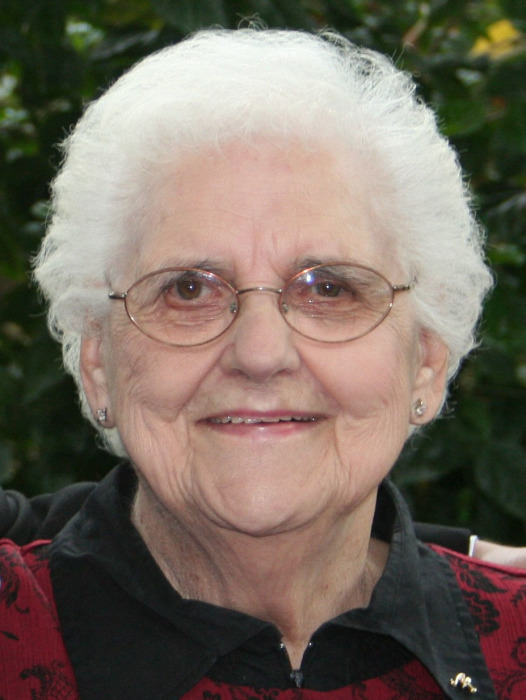 Marj worked at a number of schools throughout her long career and made many life long friends through those years. Marj spent approximately 30 years teaching with the Beautiful Plains schools district until her retirement in 1976. It was on one of Marj’s teaching posts in Wellwood, Manitoba that she would meet and fall in love with William (Bill) Renwick. Marj & Bill tied the knot in 1952. They settled on the Renwick family farm and in 1953 welcomed their only child, a daughter. Colleen brought so much joy to their lives. When Marj wasn’t busy in front of the blackboard, you could find her behind her stove cooking up all sorts of delicious dishes. Marj loved her desserts and loved making treats for her family, something her grandsons remember fondly. Marj also loved her garden and throughout the years grew all different varieties of flowers and plants, many a gift from a grateful parent of one of her students, or a generous neighbor. Marj Loved to read and always had a book on the go. But Marj’s greatest enjoyment came from spending time with family and friends. She loved to visit and reminisce and always had a good story to tell. Bill and Marj Continued to reside on the family farm in Wellwood until 1983 when they made the decision to make the move to Carberry where they built a new home. They enjoyed the comforts of town life, and after Bill’s passing in 1988, Marj continued to reside in Carberry. Although Marj’s heart was always in Manitoba, she made the brave decision to head west to spend out her last few years with her daughter Colleen, her grandchildren and great-grandchildren. This was a special time for Marj and a real gift to her family. Marj’s journey came peacefully to an end on the morning of February 7, 2019. Marj will be dearly missed by her grandson Kim (Melanie) Jones and their 3 children Reese, Brookelynn, and Crue of Lethbridge, Alberta. Her grandson Terry (Lana) Jones and their 2 children Sawyer and Will of Pincher Creek, Alberta. Marj is also survived by her sister Marion Murray of Stonewall Manitoba. Marj was predeceased by her husband William George Renwick, daughter Colleen Gayle Jones, and sisters Jean and Isobel.